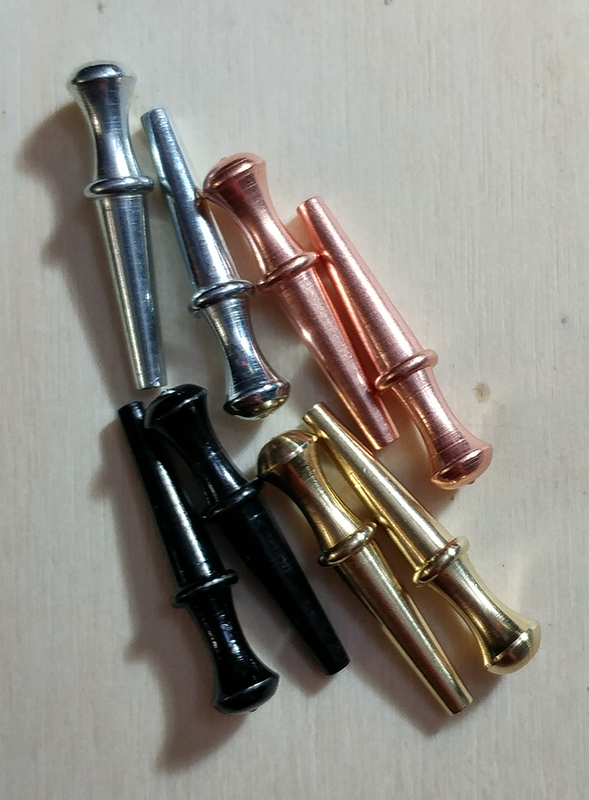 NOW YOU CAN DO MORE THAN FISH, KAYAK, RAFT, ETC., ON YOUR FAVORITE RIVER, YOU CAN PLAY CRIBBAGE ON IT!!!!! On our beautiful handcrafted River Map Cribbage Boards you get to choose Your Favorite River Map, add a Choice of Artwork, and Personalize with a Title, Name, and Inscription. 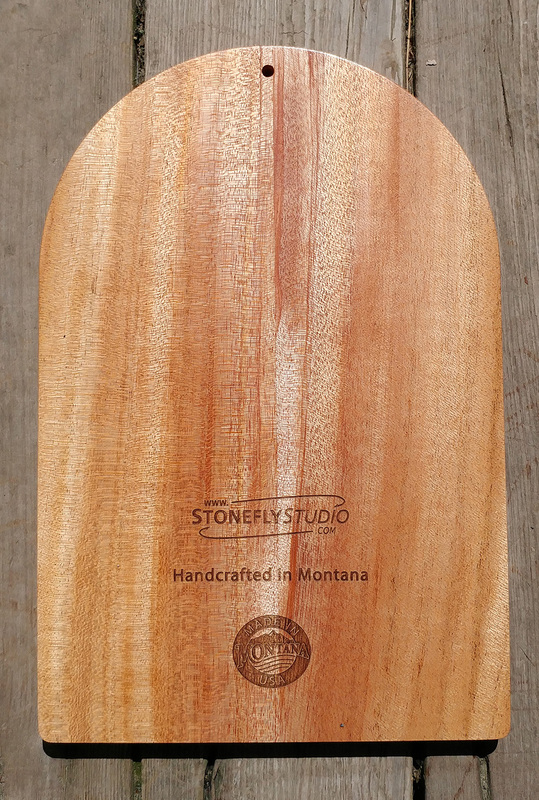 Stonefly Studio’s Cribbage Boards are truly a custom product. Like our River Map Fly Boxes, our Cribbage Boards are handcrafted with great care regarding Quality and Detail from handpicked Beech, Cherry, Mahogany, or Maple Wood. We want them to be a treasured heirloom that can be handed down through the generations. AT STONEFLY STUDIO OUR GOAL IS To Help Others Preserve Special Memories In Life With A Unique and Personal Handcrafted Item that will last a life time. 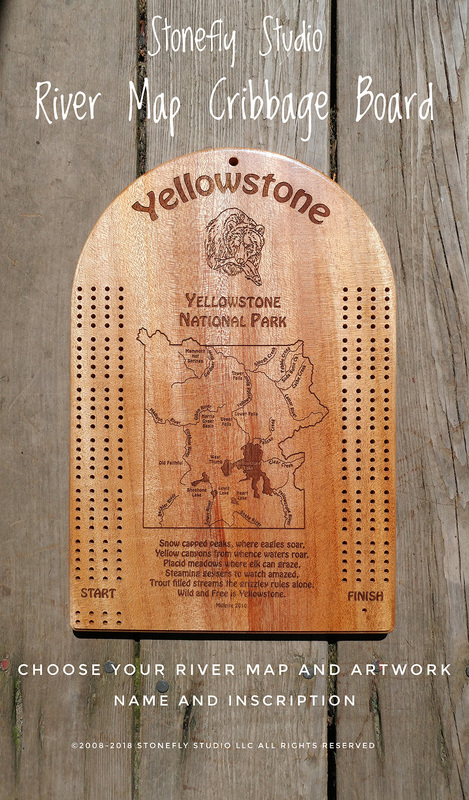 RIVER MAP CRIBBAGE BOARDS are 9 x 13.5 inches with a lacquer finish and include 8 metal cribbage pegs. The boards are designed so 2 players can play a 121 point game or 4 players can play a 61 point game. There is even a hole at the top for hanging this beautiful piece of art on your wall when it is not in use!